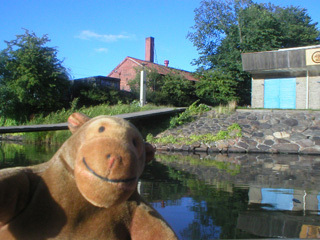 "There's an awful lot of bicycles on that raft"
Mr Monkey turned left next to a jetty belonging to a canoe club. 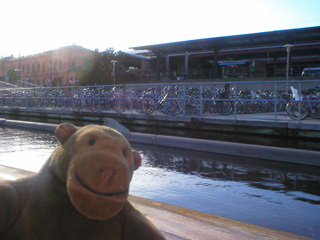 Getting closer to the central station, he saw the largest floating bicycle park in Scandinavia. Or possibly in the world.